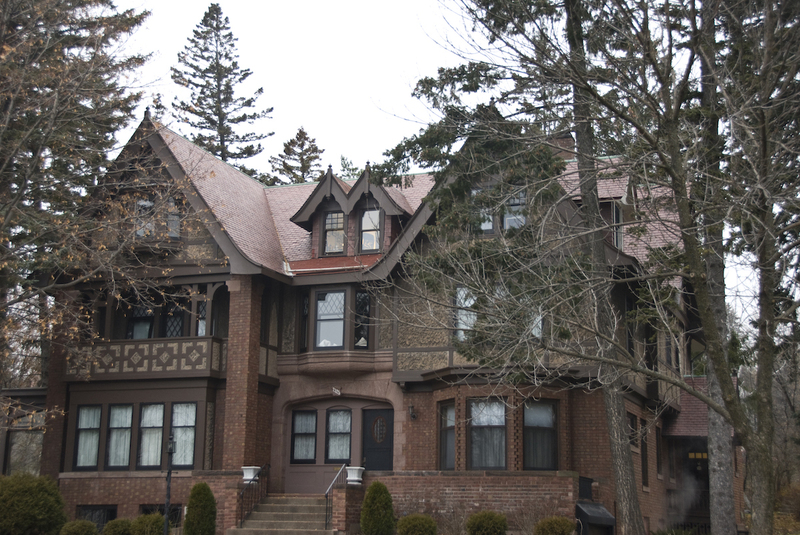 Another Tudor Revival home, the Scott house features half-timbering, steep gable roofs, and finials on the gable and dormer peaks. Scott was a lumberman who operated the Scott & Holsten Company from 1880 to 1890, the same year he established the Scott-Graff Lumber Company of Duluth, which specialized in value-added lumber products such as fine millwork and cabinetry. As a member of the Minnesota State Forestry Board, Scott was also a leader in the state’s reforestation movement.